This year marks a milestone for the Hoyle, Tanner bridge group as our team has been selected for its 107th bridge project under the New Hampshire Department of Transportation’s (NHDOT) Municipally-Managed State Aid Bridge Program. 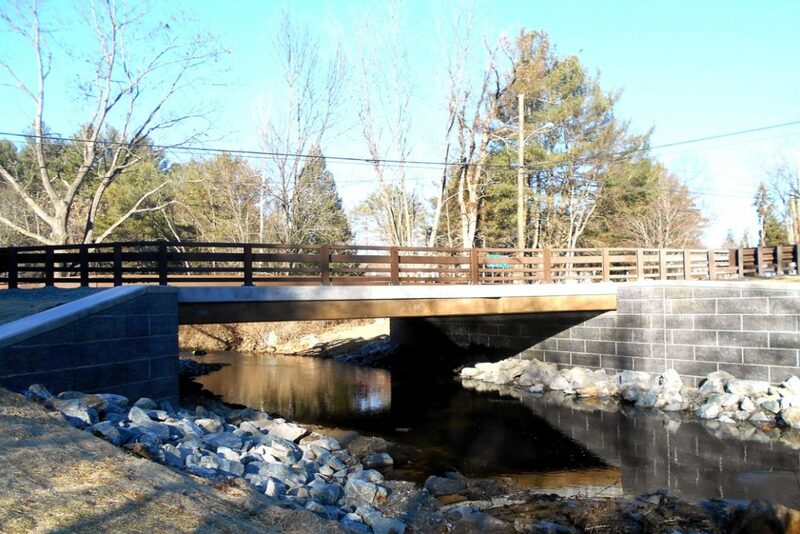 To date, Hoyle, Tanner’s bridge team has assisted municipalities with a cumulative $71,570,900 in infrastructure funding through this Program for which the NHDOT reimburses 80% of the project cost. There is no other firm that has managed, designed and overseen the construction of more bridges through this Program than Hoyle, Tanner. Of the 107 projects that Hoyle, Tanner has helped secure funding for, 55% of those projects come from repeat clients. This repeat business is achieved by being competent, reliable, and responsive. We strongly believe that by building mutually-beneficial long-term partnerships with our clients, we will create value and improved success to these local projects. Hoyle, Tanner is recognized as the leader in this field and has assisted numerous communities in addressing their bridge needs.